Last night a group of spartans started to play through the Halo 5: Guardians campaign on the infamous legendary difficulty in four player co-op. This may be the most brutal and difficult legendary difficulty to date in a Halo 5 game, but I'll let you be the judge of that from the videos posted below. 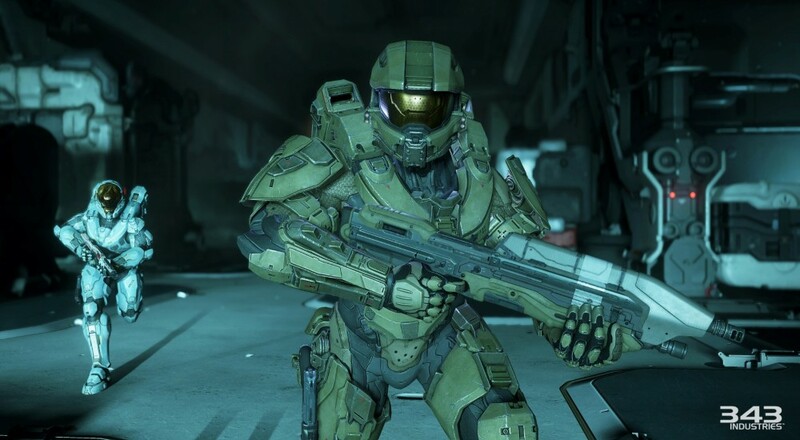 While we have little problem with mission one, it's the second mission of the game that Halo 5 really throws it all at us, causing us to hole up and defend ourselves more than go on the offensive. You can really get an interesting peak at the AI at times, especially when a player goes down and looks at the battle from a floating camera. Both videos show the skull locations in each respective level, the first Skull (IWHBYD) can be seen around the 7:55 mark of the first video. Check it out here. The second skull (Black Eye) is in a bit tougher location in mission 2. You can see it at the 44:50 mark of the first video below. We'll have our full review of Halo 5: Guardians on Monday, October 26th.